The RACV Energy Breakthrough is a joint initiative of the Country Education Project, the Central Goldfields Shire Council and the Royal Automobile Club of Victoria (RACV). The Energy Breakthrough began in 1991 when the Country Education Project began seeking new ways to engage young people in regional Victoria with a wider range of challenges. 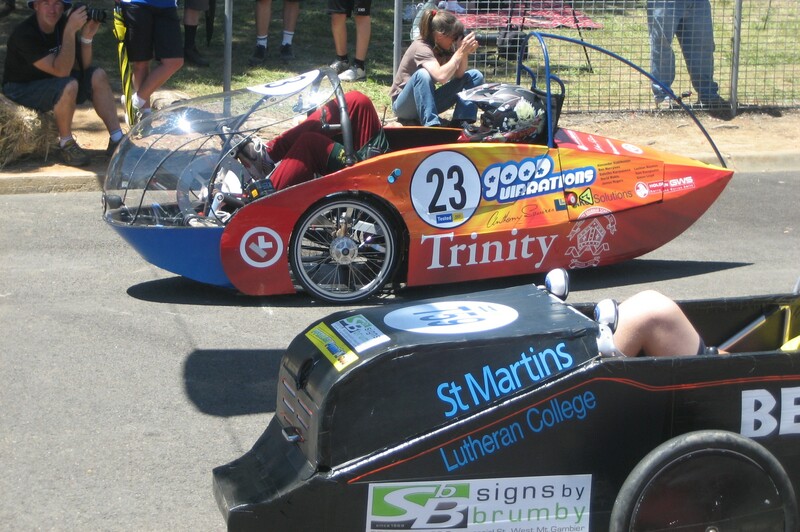 Design and Technology offer an accelerated learning opportunity for students to design, test, manufacture and race CO2 powered model F1 style racing cars. Students gain access to the latest industry standard design and manufacturing technologies including CAD/CAM software CATIA (used by Airbus, Boeing, McLaren F1 and many others), Autodesk, Solidworks,3D printing, CNC milling, Laser cutting and engraving, smoke tunnels, wind tunnels (real and virtual CFD), computerised race track and more. This co-curricular program promotes educational learning, leadership, mentoring and sharing of ideas by working in teams. F1 in Schools is the largest STEM (Science, Technology, Engineering and Maths) competition in the world.